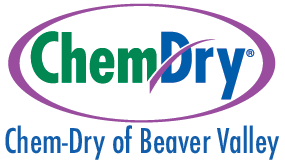 Chem-Dry of Beaver Valley isn’t a steam cleaner. Instead, we use the power of carbonation to provide a deeper clean that lasts longer. Any carpet cleaner can get your carpets clean, but with Chem-Dry of Beaver Valley, we provide a green-certified cleaning that dries in 1-2 hours, not 1-2 days. Plus, our cleaning solution doesn’t leave a sticky, dirt-attracting film, so your carpet will stay cleaner longer. Let us come and make your home cleaner and healthier for you and your family. Give us a call today!